The Coastal Awakening: An Esalen Perspective Show will be on display at the SLO Museum of Art through Oct. 28. Visit sloma.org for more information. For more of Gafill's work, see eringafill.com. 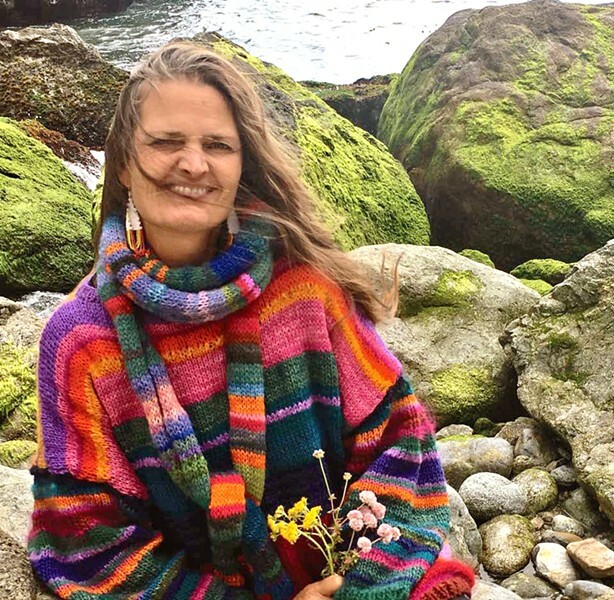 For as long as she can remember, Erin Gafill has gone to the regionally renowned hot springs at Esalen in Big Sur, long before they were part of an upscale Zen retreat center. As a child growing up there in the late 1960s, it was her family's only source of hot water in the rural coastal area for a time. Her mother would give Gafill and her siblings a good scrub and do the laundry in the hot waters at Esalen. While Gafill left Big Sur for periods here and there, she's always returned to the place she calls home, to the place that acts as her muse for her work as an artist. "I am always inspired by its majesty, power, and soul," Gafill, who is currently teaching in Italy, said via email. "I always feel like if I could just try one more time, I might finally capture a fraction of its deep and wild beauty." BREATHTAKING The view from Nepenthe in Big Sur is a favorite spot for artist Erin Gafill to capture in pieces like Morning at Nepenthe. Gafill's paintings are on display at the San Luis Obispo Museum of Art as part of The Coastal Awakening: An Esalen Perspective show. The exhibit features 10 artists who either taught at the Esalen Institute in Big Sur or were connected in other ways. As quaint as Gafill's upbringing may sound, her family is akin to Big Sur royalty, of sorts. Her grandparents, Lolly and Bill Fasset, opened the iconic Nepenthe Restaurant (which her family still owns and runs to this day), famous for its Ambrosia Burger. Some of Gafill's favorite memories include folks coming to her grandmother's living room at Nepenthe, where everyone would go for a little tea and wisdom. Gafill remembers that Lolly was one of the great "grand dames" of Big Sur. There at Nepenthe, Gafill met Richard Burton and Elizabeth Taylor when the 1965 film The Sandpiper was being filmed at Nepenthe. BORN AND RAISED Big Sur artist Erin Gafill is an award winning painter, teacher, and writer. "He gave me a kiss and scared the hell out of me and she wiped away my tears," Gafill said. "Later, I remember the writer Henry Miller playing pingpong with my grandfather in the restaurant during the slow times." Star-studded visits aside, idleness wasn't encouraged in Gafill's family home. Everyone constantly made something out of nothing. Gafill remembers being raised to make her own clothes and toys, beating tin can lids with a hammer to make Christmas tree ornaments, and melting old candles down to dip new ones. 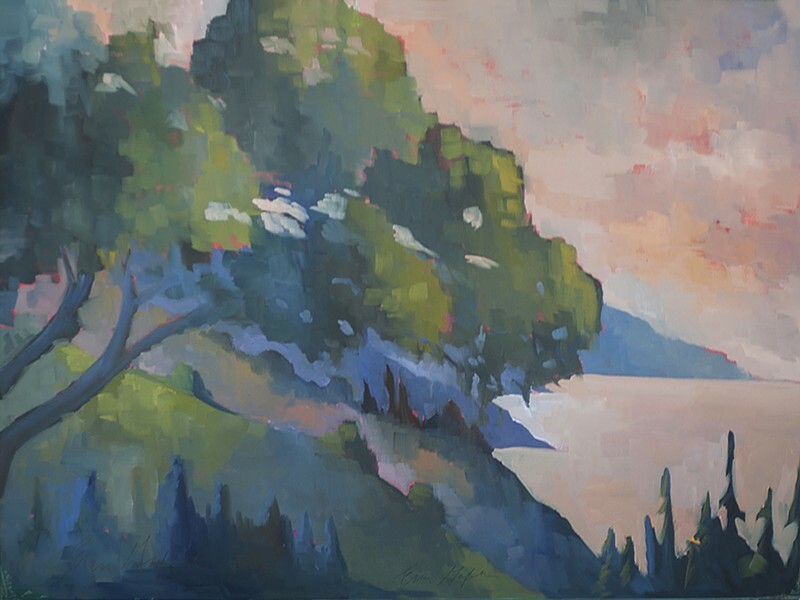 It inspired Gafill's own journey to become an artist, specializing in painting atmospheric and expressive Big Sur landscapes in oils. Today her paintings are collected internationally and she teaches art workshops in Mexico, on tour in Italy, and, of course, at the Esalen Institute in Big Sur. "Creativity was paramount," Gafill said of her childhood. "Make art and find your voice and let your inner artist out. I hope my paintings invite people to see the place beyond the place. To see the soul of a place." When Gafill paints, she works directly from observation and spending time in nature. Then she takes part of each year to go big and work from memory. Arts Writer Ryah Cooley wishes she was in Big Sur right now. Contact her at rcooley@newtimesslo.com.